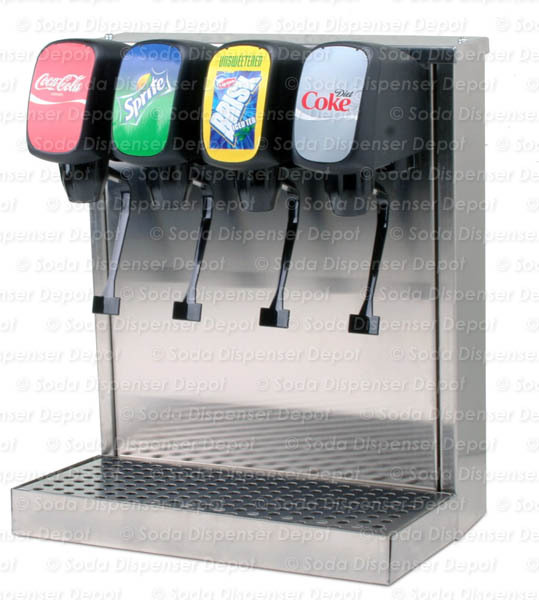 Stainless steel soda fountain tower with four (4) remanufactured post-mix valves. 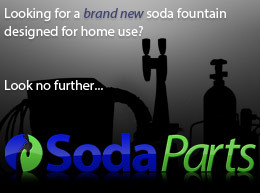 Drain pan does not require a hole to be drilled through counter top. Hoses can be routed out the back side of the dispenser or directly below it.